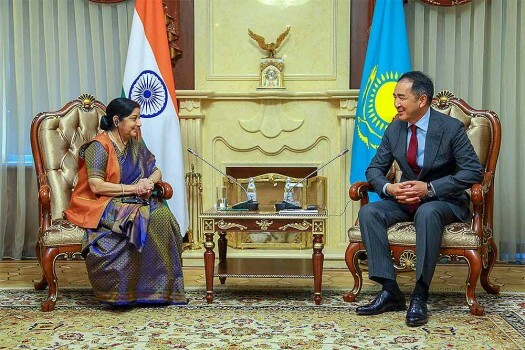 External Affairs Minister Sushma Swaraj with her Kazakhstani counterpart Kairat Abdrakhmanov during India-Kazakhstan Bilateral Meet, in Astana. 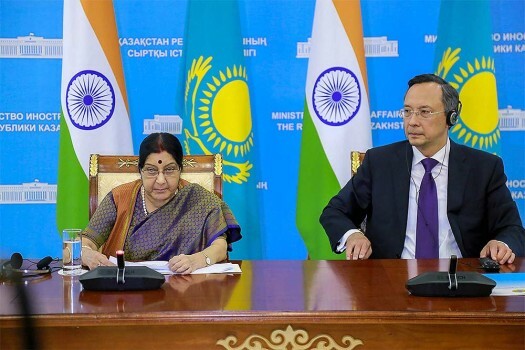 External Affairs Minister Sushma Swaraj during a meeting with Kazakhstani Prime Minister Bakytzhan Sagintayev, in Astana. 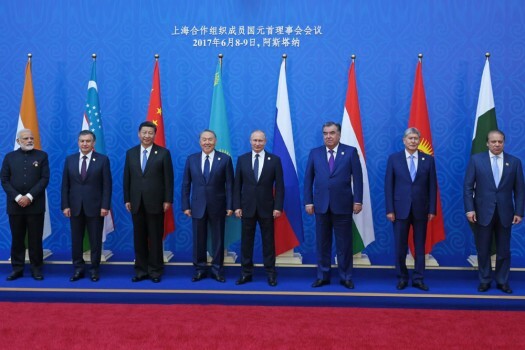 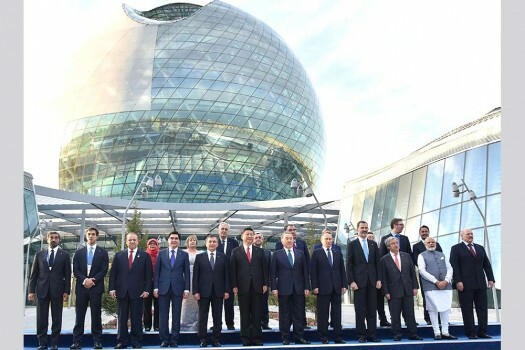 Prime Minister Narendra Modi and other leaders of SCO Family, at inauguration of the Astana EXPO-2017, in Astana, Kazakhstan. 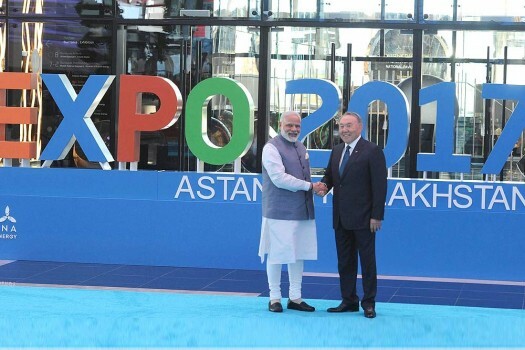 Prime Minister Narendra Modi being welcomed by the President of Kazakhstan, Nursultan Nazarbayev at inauguration of the Astana EXPO-2017, in Astana, Kazakhstan. 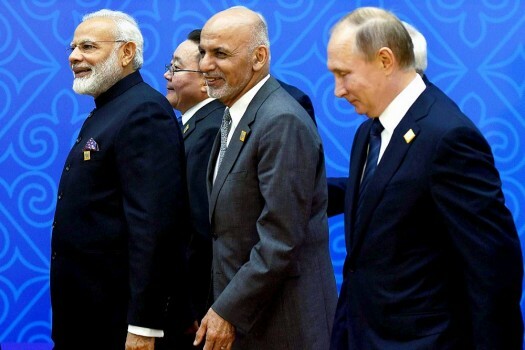 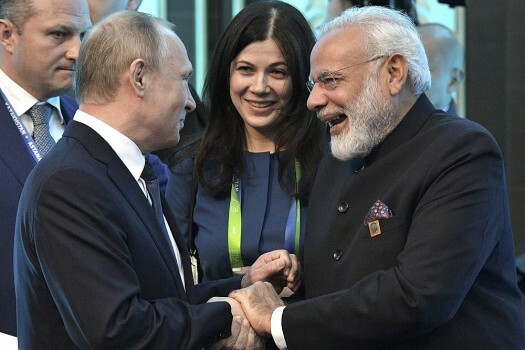 Prime Minister Narendra Modi with Afghan president Ashraf Ghani and the Russian President Vladimir Putin in Astana, Kazakhstan. 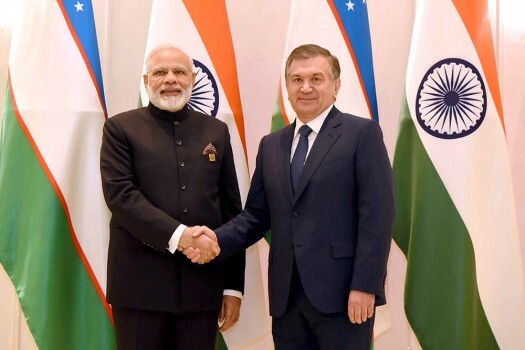 Prime Minister Narendra Modi meeting the President of Uzbekistan Shavkat Mirziyoyev on the sidelines of the SCO Summit, in Astana, Kazakhstan. 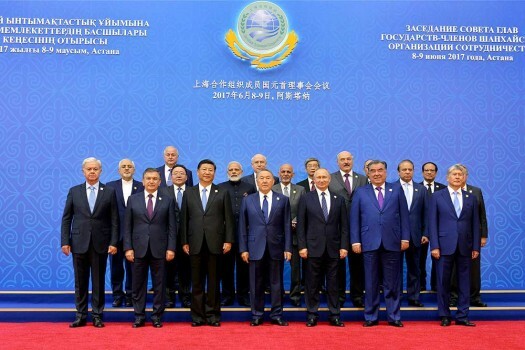 Prime Minister Narendra Modi with other Heads of Delegations in a group photo session at the Shanghai Cooperation Organisation (SCO) Summit, in Astana, Kazakhstan. 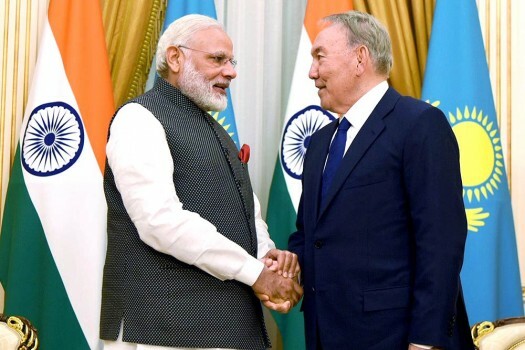 Prime Minister Narendra Modi greets the President of Kazakhstan, Nursultan Nazarbayev, at a meeting in Astana, Kazakhstan. 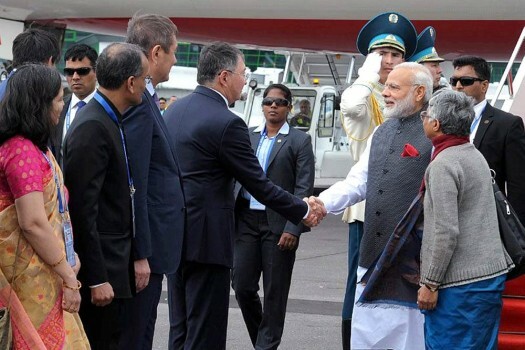 Prime Minister Narendra Modi being received on his arrival in Astana, Kazakhstan. 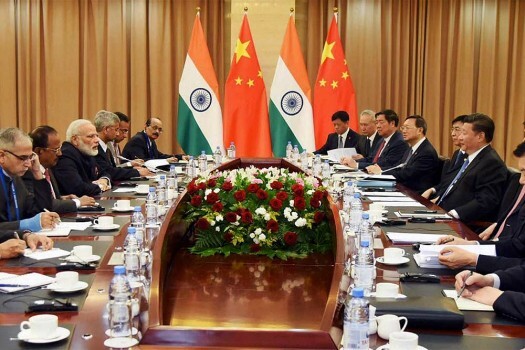 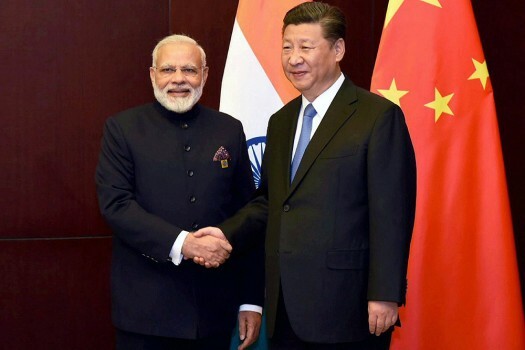 Prime Minister Narendra Modi and Chinese President Xi Jinping on the sidelines of the SCO Summit in Astana, Kazakhstan.